Millions of dollars at your disposal? Your possibilities are endless! Most of us have a bucket list tucked away somewhere. Whether it’s a short list of items you keep stored away in your closet or a mental list that you think about from time to time, there are specific adventures we would all like to experience at some point in our lives. Now just for a moment imagine yourself living out the first item on your list. Breathe it in, enjoy the moment that you only ever dreamt about. What if we told you that there is a way to bring your bucket list to life? The answer is winning a lottery jackpot! With millions of dollars you could do things you haven’t even dreamed about, here’s exactly what you could do with a jackpot win! This luxury yacht was crafted by the experts from Palmer Johnson itself. Known for their expertise in luxury travel and exquisite designs, Palmer Johnson’s has once again given millionaires a golden toy to enjoy. Commonly referred to as Khalilah, this superyacht comes fully equipped to comfortably accommodate 11 guests plus a crew. With a swimming pool onboard and underwater lights to create a glow after sunset, Khalilah is the epitome of luxury at sea. The SuperEna Max jackpot could get you this yacht and more. 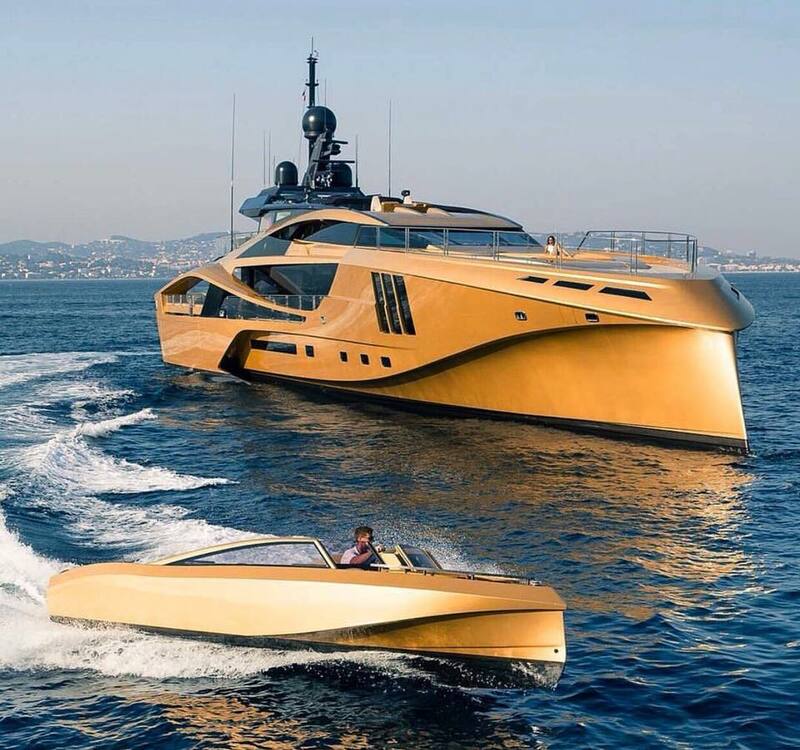 How about a gold Bugatti to match your gold yacht? Drive in the same lane as iconic celebs, Jamie Foxx and Tom Cruise, with this set of wheels. Besides the price tag, there are a few unique features from the Bugatti Veyron supercar that appeal to millionaires. This supercar is undoubtedly a one-of-a-kind, and with only 468 vehicles ever made, exclusivity is guaranteed. This supercar also holds the record of ‘fastest car in the world’. Reaching speeds of over 250 mph, the Bugatti Veyron supercar is in a league of its own. Jamie Foxx perfectly captured the Bugatti Veyron supercar experience when he said, “I was feeling solid gold today when I drove in for work”. You can understand exactly what he means too. If you don’t play, you can’t win. Stand a chance to become a millionaire and play the lottery now. 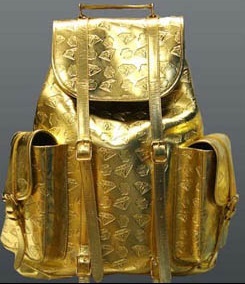 With a gold yacht to cruise you to your holiday destination and a supercar to get you quickly onboard, this gold backpack is the perfect option to store all your travelling essentials. This backpack from the Billionaire Boys Club features their classic diamond dollar pattern taking this item from expensive to lavish. Apple is generally known for creating first-class products at excessive prices, but this iPhone officially holds the record for being the most expensive phone in the world. With 26 carat black diamonds, a sapphire glass screen and 53 diamonds on the back to create the apple logo, this Black Diamond iPhone is the ultimate way to spoil yourself. Buy it all this weekend, play the lottery now to win big. really, from pavement to palace !!!! i m now waiting for OZ PB today's result !! waiting for that "golden moment" !! We'll keep our fingers crossed for you Pradip! coming thursday , i must won oz pb jackpot, then my life convert...... r...a....g...s to "RICHES" !! come july 12th....my dream come true...OZ jackpot, ":dream big & succeed"